Welcome yet again, Gemstone Geeks and Crystal Creeps! This weeks post is going to take you on a journey down the rabbit hole, to a land where the physical universe isn’t quite as dense and boring as you may be accustomed to. Today we will be delving into the topic of copper jewellery, and how it might aid us not only with physical imbalances and problems, but also with issues a little more metaphysical in nature. Copper is perhaps the most important metal in the history of (hu)man as it is one of the first metals ever mined and worked by human hands over 10,000 years ago. It was also a primary component of the first metal alloys, Bronze for example is a copper alloy. Gold and iron may have been used even earlier than copper, but we learned to smelt copper and fashion it into useful tools and copper jewellery before iron. 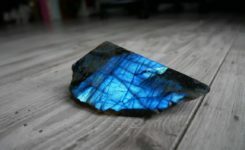 Humans have had a close relationship with this gorgeous metal for nearly as long as we could stand on two legs, and have depended on copper to provide and support our physical needs ever since the first caveman thought it would be a cool idea to throw the shiny rocks onto the campfire. It continues to support us in a multitude of imaginative ways today. Think. Just for a second. Would human civilisation exist today if we hadn’t discovered copper? The wires that nourish your home with distilled fire. The life providing water, flowing through the plumbing in your house. Every single electronic device in existence. Where would we as a species be without these advancements? Likely still in our caves. Surely this incredible metal with its numerous useful talents should have some more hidden up its’ sleeve? With advancements in Quantum Physics, discoveries are being made that indicate that the world may not be quite as solid as it appears. All matter vibrates, and 99% of each and every atom is made up of empty space. These we know for a fact, and the frequency at which something vibrates, denotes its physical properties. What are the spiritual properties of copper? Lead, the metal, for example has a very low frequency of vibration, hence its heavy and dense properties. The human body, like everything else in the known universe is also made from atoms, vibrating at various different speeds or frequencies. A general theory in metaphysics is that you can affect and change the vibrational speed of the physical body, through various practices, such as Yoga, Meditation, Healthy Eating, Affirmations and through the use of Crystals, or Gemstone Jewellery. There’s a lot more, but these are a few examples. Crystals are thought to have beneficial properties due to the frequencies that they vibrate at and broadcast to their surroundings. 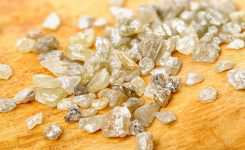 This is caused by the perfect geometric shapes at which they form, quartz for example is piezoelectric, which means when put under pressure will emit an electrical charge. That’s why they’re in your watch! Check out this experiment, which shows how our thoughts can effect our environment: Dr Emotos’ Water Experiment. So now you’re well and truly down the hole of the rabbit, i’m afraid we’re late for a very important date. That date was with a little thing called copper jewellery, and how it might help us physically and metaphysically. You might on an occasion find copper bangles in your local health food stores and wonder why they’re there. Although science hasn’t quite caught up with the vast amount of anecdotal evidence that you can find, it’s generally agreed upon (perhaps by the more open minded groups of individuals) that copper has various beneficial properties when it’s worn on the body. Either as copper necklaces, copper rings or copper bracelets. You can even drink water from copper vessels, which according to ayurvedic medicine, is highly beneficial too. 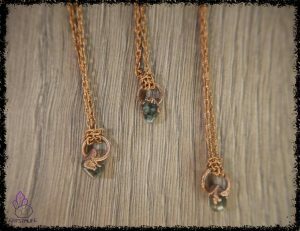 What are the medicinal healing properties of copper jewellery? 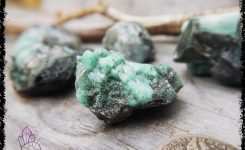 Copper is used in traditional folk remedy and crystal healing lore for all types of healing, relieving pain of broken bones, sexual instability, hypertension, helping low energy and aid thyroid issues to name a few. 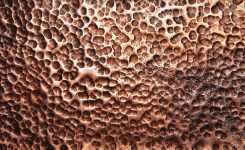 Many people believe that wearing a piece of copper jewellery on the affected part of the body will help rheumatism and arthritis. Any healing stone set in copper will have amplified affect, as copper is a conductor of energy, both physical and metaphysical. By all means do your own research about everything that’s been discussed, but not before you pull yourself out of the rabbit hole and for the time being leave wonderland behind, hopefully with a little bit of useful information, and a slightly more open mind. Perhaps take a minute to contemplate the holographic nature of your body and environment. 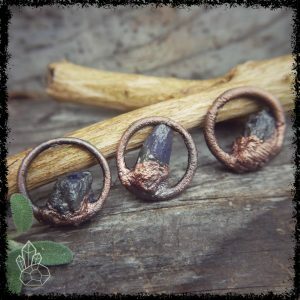 If you feel that you need some copper jewellery in your life, or even some crystals to aid you on your quest for inner peace and outer space, then check out our humble shop, where we design and create beautiful works of art that not only look gorgeous on your human vessel, but will improve your vibration and environment for a happier, more magical life. 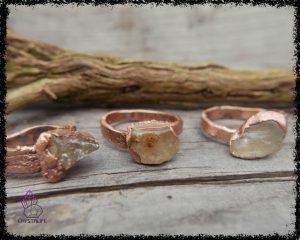 We’ve come up with some ideas for healing copper jewellery in the crystal shop, that help you incorporate the properties of copper into your life. 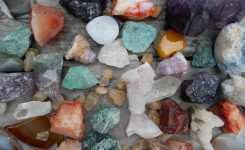 And there’s also some raw crystals that you can use to craft your own healing gemstone jewellery, if that floats your boat. We’ve found that copper jewellery really amplifies the healing energy of the crystal that they are combined with. Copper rings and pendants work perfectly for this! So if you feel like you’re ready to imbue your self with some healing copper, have a browse through the Crystal Store for a gift. Your new favourite spiritual shop.